The owner of a Columbus cleaning company who continued to run his business after his workers’ compensation insurance lapsed in 2010 paid more than $43,000 in restitution to the Ohio Bureau of Workers’ Compensation (BWC) at his court hearing Oct. 18. Gyorgy Benedek, owner of Maintenance Free Building Services Inc., pleaded guilty to a reduced charge of Failure to Comply after submitting a check to BWC for $43,069 in the Franklin County Court of Common Pleas. The plea followed a BWC investigation that revealed Benedek provided falsified BWC certificates of coverage to land a cleaning contract with another company. Benedek provided three BWC certificates showing the signature of former BWC Administrator/CEO Marsha P. Ryan when it should have been the signature of her successor, Stephen Buehrer. The certificates were dated during a period Benedek’s policy was lapsed. Benedek reported zero payroll between 2009 and 2015, but a BWC audit found he had more than 30 employees during that time and unreported payroll of more than $650,000. In two other recent cases, a Canton woman must pay BWC $26,719 in restitution after pleading guilty to a fifth-degree felony charge of workers’ compensation on Oct. 18, and a Cincinnati-area business owner avoided a felony fraud conviction by paying $4,000 in restitution to BWC at his court hearing Oct. 22. Acting on a tip, BWC investigators found Penny L. Sibila of Canton working as a property manager for an apartment complex from May 11, 2015 to July 27, 2016, while collecting BWC benefits for an injury she suffered in 2014. Investigators observed Sibila performing several office functions and learned she collected commissions for landing new tenants. They also found she used the alias “Linda” to conceal her return to work from BWC. In addition to restitution, a Franklin County judge sentenced Sibila to two years of non-reporting probation in lieu of a seven-month jail sentence. In Hamilton County on Monday (Oct. 22), Frank Krailler of Loveland pleaded guilty to a first-degree misdemeanor count of workers’ compensation fraud after BWC found him operating his business, Transmission Specialists of Montgomery, without BWC coverage. Krailler paid BWC $4,000 in restitution at his hearing in a Hamilton County court room, but an outstanding balance remains. Six Ohioans and a Florida resident owing the Ohio Bureau of Workers’ Compensation (BWC) more than $450,000 in back premiums and restitution were convicted on fraud or fraud-related charges in September. Those convicted include a Jackson Twp. business owner who misclassified his employees and underreported his payroll to shave $350,000 off his BWC premiums. Others include a basketball coach, a taxi service owner and a valet attendant. Estrict, aka Christina Estrict, pleaded guilty to a first-degree misdemeanor count of workers’ compensation fraud on Sept. 26 in the Franklin County Court of Common Pleas after BWC found her working as a youth basketball coach and referee while collecting BWC benefits. A judge sentenced her to 180 days in jail, then suspended the sentence for five years of probation. He ordered her to pay BWC $4,156 in restitution. Miller pleaded guilty Sept. 26 to one count of workers’ compensation fraud, a fifth-degree felony, after BWC found him working as a truck driver while collecting BWC benefits. A judge sentenced him to six months incarceration, suspended for three years of community control with the condition to pay restitution of $16,000 to BWC. Horton, of Clarksville, pleaded guilty to a second-degree misdemeanor count of Failure to Comply Sept. 25 in Hamilton Municipal Court after BWC discovered his policy lapsed in July 2016. Horton, who owes BWC more than $55,000 in back premiums, faces up to 90 days in jail and a $750 fine at his sentencing Dec. 5 if he fails to enter a repayment plan by then. Caputo pleaded guilty Sept. 17 in Franklin County to a first-degree misdemeanor count of workers’ comp fraud after investigators found him working as a valet attendant at a Cleveland-area hospital while collecting BWC benefits. A judge fined him $500 in lieu of a 10-day jail sentence. Caputo paid BWC $4,021 in restitution prior to his plea. Cline pleaded guilty in a Franklin County courtroom to one count of workers’ compensation fraud, a first-degree misdemeanor, after investigators found her working while collecting BWC benefits. A judge ordered Cline to serve six months of community control and to pay $1,500 in investigative costs. Cline paid BWC $6,759 in restitution prior to her plea. A Stark County jury found Snee guilty Sept. 12 of a fourth-degree felony count of workers’ compensation fraud after BWC found he had misclassified his employees and underreported his payroll to save $350,000 in BWC premiums. Sentencing is scheduled for Oct. 17. Ward pleaded guilty Sept. 4 to a fifth-degree felony count of workers’ compensation fraud after investigators found her working while collecting BWC benefits. A Cuyahoga County judge sentenced her to six months in prison, suspended for five years of community control, and ordered her to pay BWC $26,578 in restitution. 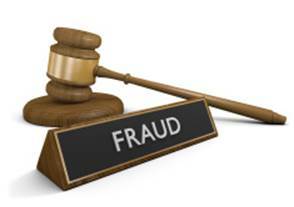 Employer Fraud: When your competition isn’t paying… you pay more!